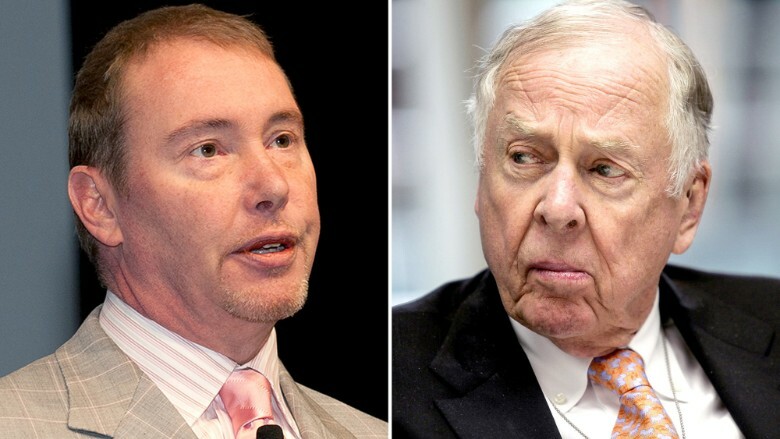 Jeffrey Gundlach, left, thinks oil tycoon T. Boone Pickens is wrong about energy prices rebounding to $90 this year. Don't buy all that talk about oil shooting back up to $90 a barrel. That's the message from bond king Jeffrey Gundlach. "I bet a great deal of money that oil is not going to end the year at $90," Gundlach said at ETF.com's Inside ETF Conference. If would be easy to dismiss the comments from Gundlach, founder of DoubleLine Capital, just because he's a bond guy. But he correctly predicted back in October that oil would tumble to $70 a barrel. He was also early to note Saudi Arabia may actually want low prices to pressure rivals like Iran. Related: What now for oil after Saudi king's death? Where's oil going next? Some believe oil could quickly rebound from its current level of $45. T. Boone Pickens, the oil tycoon, told CNBC in late December that Brent crude (the global benchmark) would zoom to $90 to $100 in 12 to 18 months. Last week Pickens said crude could hit $80 by year end. "I just think he's wrong," Gundlach said. "He knows more about energy than I do, but I know a lot about markets." That's an understatement. Gundlach is coming off a fabulous year that has led many to crown him the bond king, a title previously reserved for Bill Gross, who left Pimco amid turmoil last year. Gundlach's firm left its peers in the dust last year. DoubleLine's flagship Total Return Bond fund (DBLTX) and its Core Fixed Income fund (DBLFX) both finished in the top 10% of their Morningstar groups last year. Emerging markets? No problem. DoubleLine's emerging markets fund (DBLEX) finished in the 96th percentile, according to Morningstar. 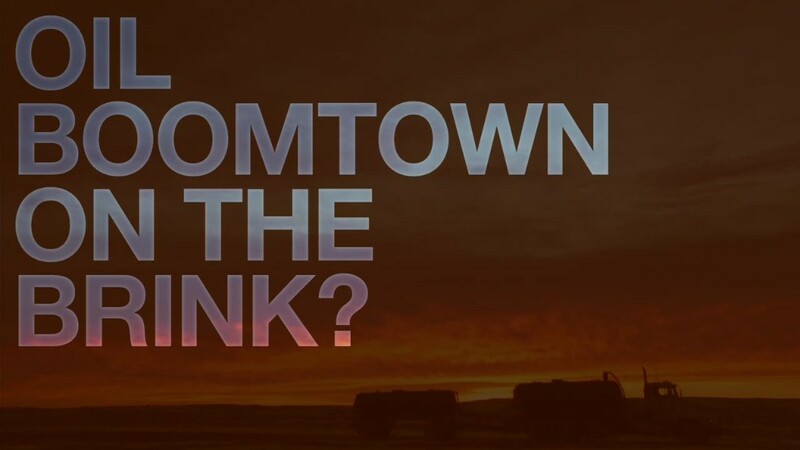 Oil boomtown on the brink? Oil crash fallout: Gundlach noted that cheap oil is great for American drivers. That's why he called the "tepid" holiday sales season "a little bit concerning." He's also worried about the fallout in the energy industry, pointing out that the oil crash is killing many jobs in the sector of the economy that was the biggest driver for employment growth. Capital expenditures in the energy world are poised to collapse, Gundlach said. The fixed-income guru said he still believes U.S. shale oil producers are "in trouble" because they need high oil prices to make their expensive drilling projects profitable. Putin problems: The oil crash may also cause stress for a bank or hedge fund that put a highly leveraged bet on higher prices. "It's dropped enough that there's somebody out there on the edge of bankruptcy," Gundlach said. And what about Russia? The country is grappling with sanctions, the oil crash and a currency meltdown. And this week its credit rating was downgraded by Standard & Poor's. Gundlach called Vladimir Putin "a rather pugilistic type of person" and hinted at future mischief by the Russian president. "You wonder if there isn't some sort of geopolitical noise that's going to show up on the horizon," he said.